As buildings throughout Boston age and become depilated, some old buildings need to be torn down or demolished to make room for new growth and to remove dangerous and failing structures. Unfortunately, demolition of old buildings presents many dangers both for construction workers involved in the demolition and for the public as a whole. One such danger is the risks associated with asbestos. Recently one Boston demolition firm has been fined $100,000 for violations involving a failure to report and contain asbestos materials. Our Foxboro construction injury attorneys are concerned that this demolition firm and other violators throughout the state are putting people at risk. Many older buildings were constructed with materials, such as insolation, that contained asbestos. Unfortunately, when these buildings are demolished, the asbestos can be breathed in and can create a significant public health hazard. Breathing in asbestos fibers puts a person at risk of various respiratory problems and health issues such as asbestosis, a chronic inflammatory lung condition. Breathing in asbestos also puts a person at risk of developing a type of cancer referred to as mesothelioma. The consequences of breathing in asbestos, therefore, can be fatal. Unfortunately, when an old building is demolished, the demolition process can create a very significant risk that asbestos fibers will be breathed in by construction workers doing the demolition and others in the area surrounding the demolition. This is why Massachusetts has strict laws on containing the asbestos and on reporting requirements prior to demolition work being done. Some demolition companies, however, violate these rules and put everyone at risk. According to the Construction Demolition and Recycling website, a demolition company in Swampscott Massachusetts risked public health and safety when they failed to notify the Massachusetts Department of Environmental Protection of demolition work they intended to perform. In failing to provide appropriate notification, the company violated the state’s Clean Air Act. The company not only performed a demolition without proper notice, but they also allegedly failed to remove and dispose of asbestos-containing materials in the manner required by law to ensure safety. The company demolished the building without first removing the asbestos and failed to use containment procedures both during demolition and during transport. Finally, the company took the asbestos-containing materials to a storage site in Revere Massachusetts that they were not permitted to use. By failing in their safety obligations, the demolition company endangered the health of the construction workers’ performing the demolition. They also endangered people in the surrounding areas, which in this case included a heavily-traveled area in the Boston waterfront. Because of their violations, the company was required to pay a $100,000 civil fine. 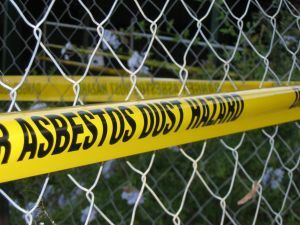 Construction workers employed by the demolition company could also have a claim against the company who exposed them to asbestos if they develop medical problems or complications that can be tied to the toxic exposure. If you or a loved one has been exposed to asbestos in the Greater Boston area, contact the personal injury attorneys at the Law Offices of Jeffrey S. Glassman, LLC for a free consultation to discuss your claim. Call 1-877-617-5333.